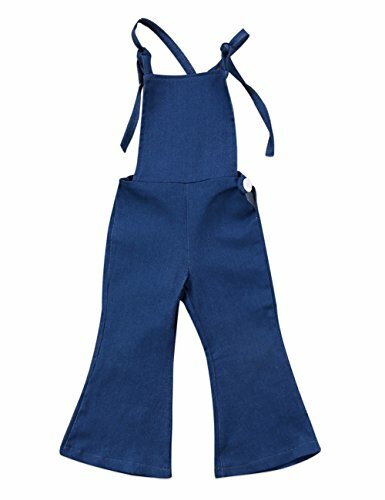 Pudcoco Baby Girls Little Kids Suspender Overall Flared Denim Jeans Jumpsuit Bell Elastic Blue Pants (Blue, 1-2T) | What Should I Say? We are Asia size,which is smaller than yours.Please order a size up if you need. If you have any questions about this product by Pudcoco, contact us by completing and submitting the form below. If you are looking for a specif part number, please include it with your message.